Made by Sub 11 in Italy, the Blue Camo blade is coated with Idroglider Gold® Black in a blue camouflage. 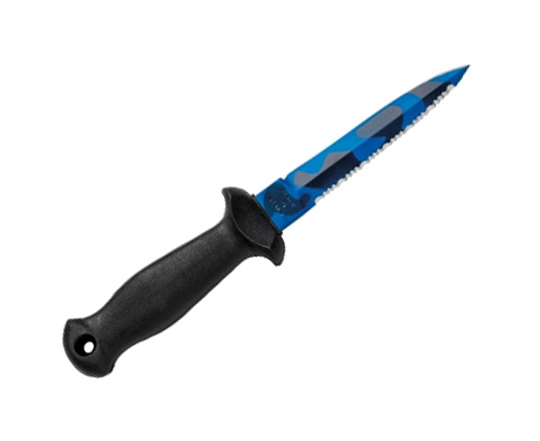 The Sub 11 comes with a pointed tip and sharp and serrated edges. 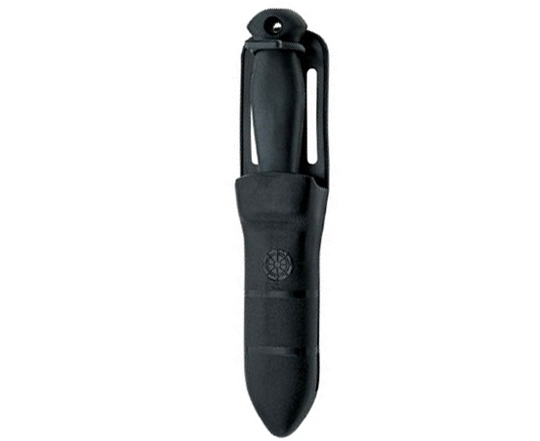 This knife is a great for underwater hunters. Made from W1.4116 stainless steel, hardness 55-56HRC. Weight is only 3.95 oz. and offers a 4.33” blade and 8.46” overall length. Comes with sheath and extra top secure strap and two leg straps.